Home / Blog / Want to Lose 10 Pounds? Here’s How a Client Did It! Want to lose 10 pounds fast? Here’s the exact program a client used to drop 10 pounds in 5 weeks. Here at Upper Echelon, when a client has a precise goal, we go to work to make sure that goal is reached. Sometimes it doesn’t happen as fast as we’d like, but that changes happen one way or another. 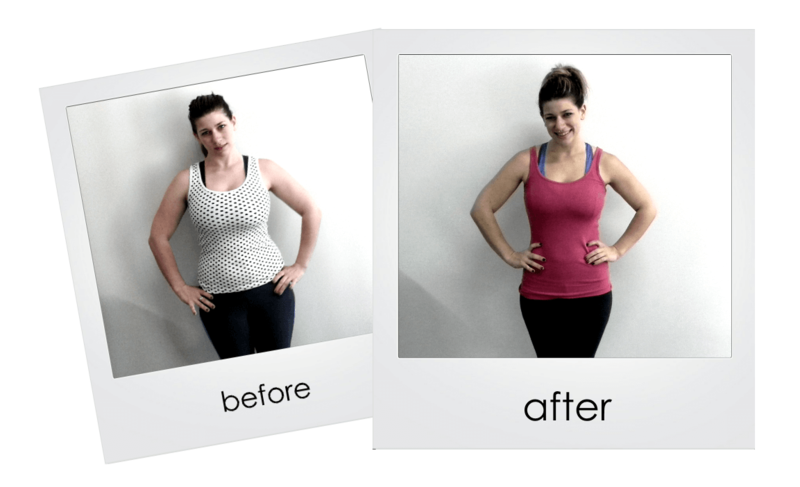 Last Spring we had a client come to the studio with a very simple goal: she wanted to lose 10 pounds. My goal was to get her there within 2 months, but to my surprise, she dropped the weight within 5 weeks. Like I said, sometimes things don’t happen when I think they will. In this case, I was pleasantly surprised at the fast results she got. Weight loss is a tricky thing. You can’t just run the weight off. Cutting calories drastically is also another bad idea. You have to set up a program that helps retain muscle mass while forcing the body to use fat as an energy source. Endless running and starving yourself will let you lose weight, but you’ll also lose some muscle and end up looking flat and weak in the process. Plus your body will plateau after a week or two. To lose these 10 pounds, my client walked through a simple circuit. Now the design of it is simple; the actual work you have to do is not. Please don’t confuse simple and easy as the same thing. Prepare yourself for 2 days of circuit training. These circuits will follow a very basic design: you’ll perform a lower body movement paired with an upper body movement. All in all, the whole circuit should take about 30-40 minutes. Besides the two days of resistance training, you’ll also knock out two days of intervals. This conditioning will further help the body burn fat while retaining muscle. If you’re extra lucky, you might even build a bit of muscle along the way. Keep in mind that this is the protocol that worked for this particular client. She had a clean bill of health and no orthopedic issues. Squatting, lunging, and sprinting was not an issue for her, but if it is for you, don’t do this workout. This worked for my client, but it’s not the only way to make things happen. If you want to get the ball rolling but want to start with something a tad easier, then check out these interval workouts. Do A1, A2, then A3. Rest for 60 seconds. Then do it again. Then rest. You get the idea. 100 meter sprints x 6, 90 seconds of rest. Circuit Training: 45 seconds of rest. Add a round to the “B” moves. Intervals: Add 2 rounds to the 30/60 day. Decrease rest on the 200/100 by 15 seconds. Circuit Training: 30 seconds of rest. Add a round to the “A” moves. Circuit Training: Do the same as Week 3. Intervals: Do the same thing. Notice: Before beginning any of the exercises provided in this program, consult with your physician to ensure that you are in proper health. This workout and any information provided with it are not meant to provide medical advice. No liability is assumed for any information contained herein.